Do you want to learn how to use Aroma file manager stock recovery on Android? Or are you looking for where to download Aroma file manager latest version? Keep reading, because we've got you covered and also have so much more to offer! An Android recovery file manager is one of the best optimizing Android apps and programs you should have on your phone because it helps to enhance its level of performance. Now, what makes Android one of the most popular Operating Systems for smartphones after iOS, is its flexibility. Every user of this OS whether it's the KitKat, Lollipop, Marshmallow, Nougat, or Oreo version, can share files conveniently especially with apps like Xender, Flash Share, and ShareiT. In line with that, pick a Samsung, Huawei, Xiaomi, Gionee, One plus, Google Pixel, HTC Desire or any other Android smartphone brand and you'll be able to operate it easily, irrespective of the customized user interface such as TouchWiz, EMUI, MIUI, etc. You can also find and install apps that have similar functionality but designed by different developers and generally, customize your device in the best way you can. In terms of customization, a software program like the Aroma File Manager TWRP (Team Win Recovery Project) can be very helpful. Before we derail further, let's go to why you're really here. What is a Recovery File Manager? A Recovery file manager is an application that organizes your system files and provides a user interface for you to locate them while in recovery mode. This File manager can either be installed on a Phone, Tablet or Computer, depending on the device whose files you want to access even if they're hidden. While in recovery mode, there is still a means of accessing videos, music, pictures, apps, documents, system files and many more directly from the app without having to navigate through individual menus on your phone. Also, you can carry out several operations such as file creation, deletion, copy, cut, paste, and so much more. This software can help you recover your deleted pictures, documents, apps and other files that have been accidentally deleted on your phone. While you'll find several of these managers for Windows PC and Mac, there are others that are specially designed to run on Android devices. Therefore, some Android recovery file managers include the Aroma file manager and ES file explorer pro zip which also allows you to share files between a PC, Mac, and other smartphones either via Bluetooth, LAN, or FTP. What is Android Recovery Mode? The Android recovery mode allows you to access the bootable partition of your phone which already has a recovery installed. This recovery mode, is a runtime environment that can help you to factory reset or restore your Android to its normal state; that's if it crashes and runs into bugs or system errors. If you want to rectify common Android phone or Tablet problems such as malware, stuck on boot screen, unresponsive screen, or install official OS updates, then accessing the recovery mode may become necessary. Here, you'll be able to apply updates from cache or external storage, wipe data/factory reset, reboot to bootloader, and delete the cache partition. And all this is made possible by simply pressing the power and volume buttons simultaneously on any Android device like the HTC U11, Samsung Galaxy S8, Google Nexus, or LG V30. What is Aroma File Manager? Aroma File Manager is an advanced Android recovery file manager with a GUI which organizes, lists, and lets you locate all your Android files and directories while the device is in recovery mode. 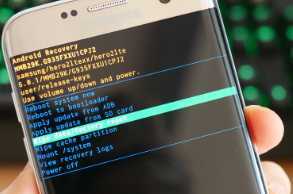 It is a program in a flashable Zip package that can be flashed either using TWRP, Philz, or CWM recovery which will launch its user interface with your Android's files and directories displayed in it. But that is not the best part given that this is the world’s first Android recovery file manager. As already stated, you'll find this program available as Aroma file manager.zip and as such, it isn't an APK file that is readily downloadable from Google PlayStore or other Android app markets like Uptodown or Apkpure. Consequently, this post is one of the results you'll get when searching for aroma file manager APK. It is also important to mention that this program was developed using the C programming language and for that reason, it may be compatible with x86 Linux systems. Now, If the sound of the word, "Aroma" first brought the word, "Scent" to your mind, then you aren't wrong. This is because this program obtains its name, "Aroma" from the Bahasa Indonesia translation of Scent. Alternatively, the Acronym for this File Managing app, AROMA stands for "Amarullz Android ROM Manifestation", thereby gaining its name from its original XDA developer, Amarullz. As with most File Managers that allow you to carry out operations such as touch, copy, paste, cut, move, delete, create a new folder, escape, clear and much more, you can do the same with this touch-based Android recovery file manager. If after accessing the recovery mode you can't recall where a file OS you need for ROM flashing is on your microSD card. Now, you get the picture because the locate feature of this app will come in handy. While you can change the location of files even without accessing the file manager on Android after the phone has fully booted, you can also change user permissions that will limit access to certain files by unauthorized users. To enhance the level of security on our smartphones, we use pins, patterns, and a more advanced biometric authentication like Fingerprint sensor and eye Scanners. While the latter is more secure and does not require that one memorizes characters and patterns, the former does. This leads to the problem of either forgetting passwords and patterns, especially when they are changed frequently or the phone has not been used for a long time. When it comes to patterns that you have forgotten, Aroma file manager zip explorer can be of help. The Aroma file manager pattern unlock feature will grant you access to your system's files and allow you to delete the pattern lock key. There is no security pattern on the phone when you reboot and you are only required to swipe to unlock the screen. If you know how to flash mods, a good practice would be to carry out a backup before proceeding because you may encounter a boot loop where the phone restarts repeatedly. Instead of flashing a mod or stock again, Aroma file managing app can help you locate a backup copy of the file. Other than managing files with this app, you can customize the general settings of the app such as modifying the default transition animation speed and changing the font style and size. You can also change the theme of the app and default language, and set the toolbar to display only icons or icons with text. The latest version of Aroma File Manager is 1.91 and it is offered by XDA developers as a Zip file which you can download for free. Before you proceed, keep in mind that this post is meant for educational purposes and as such, we are not liable for any errors that may be encountered on your phone if the procedures go wrong. One of the newer Android versions. Custom ROM recovery installed on your Android such as TWRF or ClockworkMod. A battery power that is above 50% to ensure the device does not go down while in operation. Backed up a copy of your files such as MMS, Internet settings, contacts, messages, Wi-Fi passwords (they will all be deleted). You can download Aroma File Manager version 1.80 or version 1.91 Zip file using each of the embedded links. You may encounter an error and that's the notification message 'aroma file manager installation aborted'. This has been handled in a later section in this post. In each case, click on the link and you'll be redirected to XDA forum's page where your selected file can be downloaded. Here's how to use Aroma File manager to ensure you can access all files on your computer. Ready? I’ll walk you through the whole process which involves flashing Aroma file manager. Download the Aroma File Manager zip file using any of the links that were provided above. Store it directly on your device's external memory (MicroSD card storage) and not within a folder in the internal memory or external memory. In order to flash the Aroma Zip file, you need to access Android's Recovery mode. While the device is off, simultaneously hold down the Power Key and Volume down key. Select, 'Install from SD card'. Locate where the Aroma Zip file is on your phone and select it. On selection, the flashing will begin and the File Manager is launched. On launching, some of the few things you'll notice is a batch-select mode in the Aroma File Manager. What this does, is to enable you to manage your files and carry out operations (add to favorites, select all, check details, delete, create a new folder) easily since it is automatically enabled after clicking on the appropriate icon. The toolbars provided will also enable you to work your way around the app and manipulate the data stored in your device's local storage. If after launching the package you encounter any of the following errors: Aroma file manager installation aborted, Error in Zip File, Status 0 Error, or Update Binary Error on your Android, then fret not. Downloading the Zip File again from a trusted or authorized source such as XDA developer forum. Also, ensure that you delete the current program on your phone before running a new one. In recovery mode, Select 'Advance'. Select the options Wipe Cache, Dalvik Partition, System, Data. Finally, select Aroma_File_Manager.Zip and try to flash again. Aroma File Manager is a useful user-friendly file explorer to Android users, developers, themers, as well as modders. It can help you recover deleted data and information or lost files on your phone and restore the boot files on your phone. Access to all the files stored on your phone's internal and external memory is also granted, which is in a bid to allow you to manage your files while in Recovery mode. Therefore, having the Aroma.Zip file like the aromafm-1.80.zip, might come in handy someday if your Android crashes, encounter boot looping, or you need to unlock a forgotten pattern lock key. So, go ahead and download this file management app for Android and within a matter of minutes, you can get your phone up and running again.